What Is The Definition Of Goal Crease In Hockey? 1. This refers to an area of ice that is in front of the goal on an ice rink. 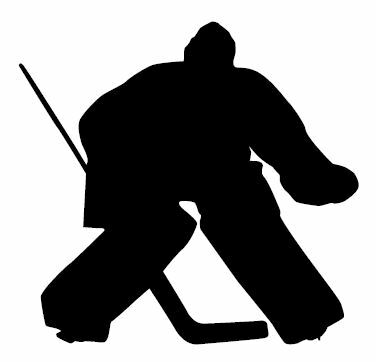 The goal crease is marked off with a line that is usually a semi-circle that extends from the goal line and out around the net. This area is usually a different color than the other areas of ice on the rink. 1. Lindros is called for interference on the goalie after he stands in the goal crease and prevents the goalie from moving freely within the crease. What Are The NHL Goal Crease Rules? According to the NHL official site, if an attacking player is standing inside or outside the crease and a goal is scored, the player’s position by itself should not determine if a goal is allowed or disallowed. If an attacking player impairs the goalie’s ability to move freely within the crease due to their positioning, and a goal is scored. If an attacking player initiates more than incidental contact with the goalie, whether inside or outside the crease, therefore impairing their ability to defend and a goal is scored. This is up to the referee’s discretion only on whether there was more than incidental contact that impaired the goalie. Instant replay is not allowed in this instance. The goal crease was implemented so that it gives the goalie an area that allows them to move and play freely without interference. Otherwise, without the area, their opponent’s could crowd the goalie, obstruct their view and make it hard for them to block shots. The sides of the crease will run perpendicular to the goal line and extend 1 foot past each goal posts. The half circle crease will have a 6 foot radius.